Home armstrong conte doping drugs epo heredia steroids Can We Trust Drug Tests? Can We Trust Drug Tests? One of the most reported facts by supporters of Lance Armstrong is that he is the most tested athlete in history, having passed over 600 drug tests without ever testing positive. Yet, despite this, the USDA feels that they have a strong enough case to convict him of an ‘analytical positive’. Meanwhile, comments from Carl Lewis during the Olympics concerning the Jamaican sprinters, in particular Usain Bolt, have also drawn questions over whether doping is still a strong presence in the Olympics. However, we rarely see athletes testing positive in drug tests these days, and certainly not the very top athletes. Is this a sign that doping is no longer common in sport or is it simply that the dopers are still ahead of the testers? An interesting man to listen to on this issue is the former BALCO mastermind, Victor Conte, who spent four months in prison on a charge of conspiracy to distribute steroids. Ahead of the Olympics, he claimed that, of the top twenty athletes in each event, 60% of them will have used banned drugs in the twelve months leading up to the competition. In particular, he feels that a process called micro-dosing, through the use of creams, patches and even injections, is likely to be rampant in sport in the current day. Yet, there were certainly nowhere near this level of athletes that failed the doping tests. The biggest name to fail a test was the gold medallist in the shot put, Nadzeya Ostapchuk. Outside of her, there has not been a medallist to fail a test. So, how could Conte’s theory be true? The BALCO scandal, involving Victor Conte and Angel Heredia, revealed that the drug tests are simply not effective at catching dopers. Many of his clients competed at the top level, winning multiple world and Olympic medals, without ever failing a single drug test. However, in the past five years, it has come out that at least four of the twelve athletes that Heredia worked with were using banned performance enhancing drugs (PED). It simply showed that the methods used to detect these substances, primarily mass spectrometry, were inadequate. The machines could only see that which they were programmed to see. One simple method that BALCO used was to slightly adjust an old steroid, retaining its properties, whilst remaining undetectable to the testers. Immediately here, we can see that the drug tests lose some of their credibility. Suddenly, a claim that an athlete has never failed a test is not necessarily conclusive proof. The best example of this is the former American gold medal winner, Marion Jones. She passed over 160 tests in her career, without failing a single test. Yet, she was on a strict and regimented drug program throughout this period. Erythropoietin, better known as EPO, is a natural protein produced in the body, which boosts red blood cells, and hence the oxygen-carrying capacity of blood. The synthetic form has also been a commonly used PED, particularly by cyclists, but also by other athletes. The major problem is that the detection of the synthetic form is a very difficult process, with many claiming that there is still no reliable way to test for it. The test involves a process called isoelectric focusing, where molecules of different weights are separated across a gel, allowing the detection of the synthetic version, whose weight is fractionally different. The problem is that the final decision requires a judgement call on the part of the laboratory, which tends to err on the safe side. There have been examples of false positives over the years as well, while some believe that for every user that is discovered, at least ten go undetected. Angel Heredia was one of the leading characters in the BALCO scandal. A self-described chemist, scientist and nutritionist, he gave a fascinating interview in 2008 concerning his role in the scandal, and how athletes were doping without being detected. “Together we found out what was good for which body and what the decomposition times were. I designed schedules for cocktails and regimens that depended on the money the athletes offered me,” he explained. The doping cycle, taking into account personal schedules and individual drug decomposition times, was calculated in fine detail. “When the season ended in October, we waited for a couple of weeks for the body to cleanse itself. Then in November, we loaded growth hormones and EPO, and twice a week, we examined the body to make sure that no lumps were forming in the blood. Then we gave testosterone shots. This first program lasted eight to ten weeks, then we took a break. Obviously, many of the facts cannot necessarily be verified, but if we accept his points, it is clear that the testers are fighting a losing battle against the growing sophistication of the dopers. While testers are constantly finding new ways to detect drug that are being used by the dopers, the dopers are discovering new drugs all the time that the testers cannot detect. Another problem is the limits that the World Anti-Doping Agency (WADA) set. So long as an athlete is within these limits, he is technically classified as ‘clean’. However, the reality is that any athlete who wants to compete at the very top of his sport needs to be at the very top of these limits. Looking at the issue of testosterone, it is the ratio between testosterone and epitestosterone that the WADA guidelines concern. A good college level sprinter would typically have a ratio of 1:1. However, the maximum ratio allowed under the WADA limits is 4:1. Therefore, by using some of the undetectable steroids and drugs mentioned earlier, it is almost in the athlete’s best interest to get his ratio up to the maximum allowed. As the drugs are undetectable and he is still within the limits set, the athlete would be classed as ‘clean’. What it all suggests is that we cannot assume that an athlete is clean simply because he has not failed a drugs test. It cannot be the defining piece of evidence in proving that an athlete was not doping. However, we must be careful not to assume that every athlete is doping. While I have my own views about Lance Armstrong, people should not rush to make a judgement either way. What the USDA need to do is release the scientific evidence that they claim to have into the public domain, so that people can make their own judgements. Until then, innocent until proven guilty. Very interesting read. The information from Heredia was new to me. Armstrong's old teammate Tyler Hamilton revealed most of the ways cyclist got away with doping. Those also included micro-dosing EPO and testosterone as well as blood doping for which there was no test. They could flush their systems prior to a test by drinking copious amounts of water and downing salt tablets or by using a saline injection. They could also drop a powdered enzyme from under their fingernails into their urine sample and it would prevent a positive. Hamilton said the most important key was knowing how long each substance stayed in one's system. He also said passing the tests was an IQ evaluation like Conte. I do have one quibble and that's with the final conclusion. 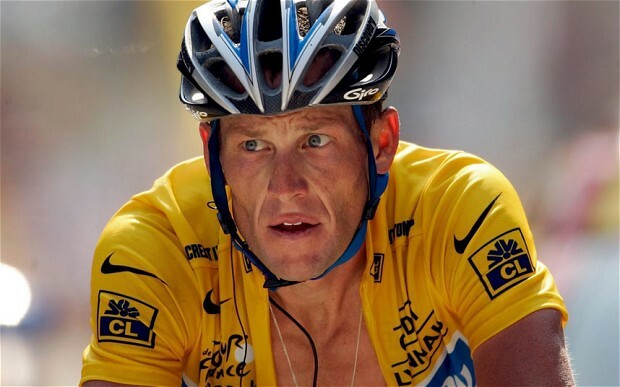 Armstrong was charged with a slew of violations along with doping such as possession, administration, trafficking, and encouraging others to use. None of those can be verified with scientific evidence. If USADA has more than a dozen eyewitnesses who will give independent, detailed accounts backing those claims, that should be enough. There is likely other evidence though. Hamilton claims that the feds had tax records and money transfers that are also damning. If USADA has access to those and the blood values they claim to have, the case is closed, in my opinion. While we may argue that drug tests aren't 100% fool-proof, we can't deny that they at least gives a snapshot of what the subject could be taking in. Maybe all it needs right now is further updating and refining to keep up with the dopers and the near-untraceable performance drugs.